There is no place in business for sentimentality, that's what they say. It maybe true for the office-bound spreadsheet-staring bureaucrat at the corporate heart of some mega-global retail giant. But try telling that to my Gran stood weeping at the rope barricade surrounding the smouldering remains of Oldham's Victoria Market Hall on a rainy October morning in 1974. My grandparents always shopped 'up town'. That meant, predominantly, Oldham Market and the independent shops near to the market. This was in the days before the dominance of Spindles and Town Square shopping centres, they would have wondered what a shopping centre was, other than a market. So when the market burnt down it ripped out the heart of the town in a very real way. What made the market so special, why did it seem more than just shopping - which these days is a chore to most people? 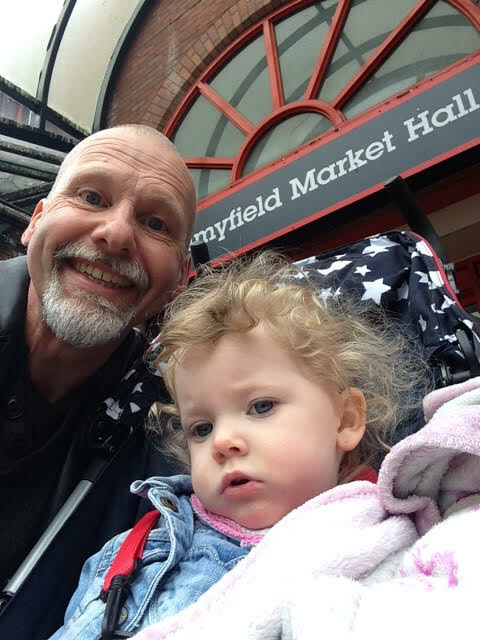 I've talked a fair it about the importance of shopping local without really considering the practicalities for most people with busy families, This week I decided to put my money where my mouth is and test how practical it is to shop 'up town' for the most of us. Not for the farmers market, middle class hipster types (very welcome though they are to independent retailers) but to the rest of us with pressing demands on time and pockets. And in any case, why should we even bother going to the effort of shopping local if we can get what we need efficiently and cheaply in one place? Accompanied by my (as you can tell from the picture) eager assistant Maisie we went up town to investigate whether the Oldham Market still holds the same shopping potential as it did for my grandparents. I had a list. We planned to make a chilli, and we needed meat, veg and other bits to see us through the week. I was unsure about whether I'd be able to get non-food items on the market but interested to see what was on offer. When they named themselves supermarkets I think the likes of Asda and others missed the point. They thought that markets represented little more than value, economy and convenience. I can't see my gran stood weeping over the smoking embers of a fallen Sainsburys store, so there is clearly more to it than that. As regular readers will know, I am fussy about my food. I like real food sold by people who care about it enough to talk to you about it. 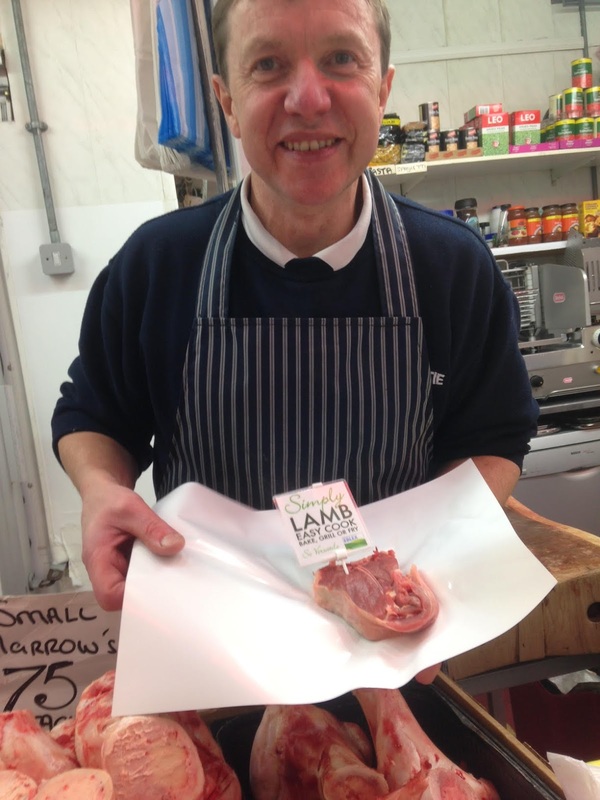 I wasn't disappointed by Totties Butchers who was keen to chat about the provenance of his meat, and equally keen to suggest he could match any quality of meat at any of my regular butchers, I only had to ask. He could tell me where his meat was raised and killed. I like that. There were other butchers too, some offering meat that was clearly at the budget end, similar in appearance to supermarket meat; and there were butchers with less enthusiasm for the product. What I liked though was the ease with which I could walk away and choose elsewhere. The same applied to the range of fresh fruit and veg on offer. Some sold by uninterested traders (it was a dreary Tuesday to be fair) and others sold by traders willing to chat and discuss their wares with a curious consumer. The health food shop delivered the goods, and I could even have bought cosmetics and toothpaste, providing I wasn't too choosy about brands, or packaging with cyrillic typeface. None of this though explained the emotional connection my Gran had with the market. Wondering around the stalls I felt it: shopping this way is social. It can't help but be. Stallholders shout across the aisles to one another in busy banter, you rub shoulders with all and sundry moving in and out of the aisles this way and that, not along rows governed by the latest marketing ploy for product placement as in a supermarket. People were engaged with what they were doing: they selected and then deselected products, asked questions about price and quality, about stock levels and likely new ranges. They bustled and hustled and then parked their bags right at the heart of the market for a cup of tea and maybe a bacon buttie in the market cafe (though my gran would be pleased that you are unlikely to get a skinny-machachino-frappe-latte there). I was worried that I would have to write this and convince people that they should support their local market out of some altruistic commitment to shopping locally. That is not the case. Shopping like this is enjoyable and if, at the moment, you can't buy everything you need with exactly the same cold efficiency as you can in your vast supermarket well I wouldn't worry about it. Soon enough as more people learn how enjoyable and convenient browsing the aisles of the market can be, new traders with more choice and more value will be clamouring for a place on the market. I'm not going to try to be prosaic about ashes and phoenixes, besides if that's the case it's taken forty years, but I do get the sense that our market is resurgent. I look forward to the super-market.